Each year we celebrate all things peated with various Peat Week events. In 2015 we released two single casks during the Peat Week celebration. 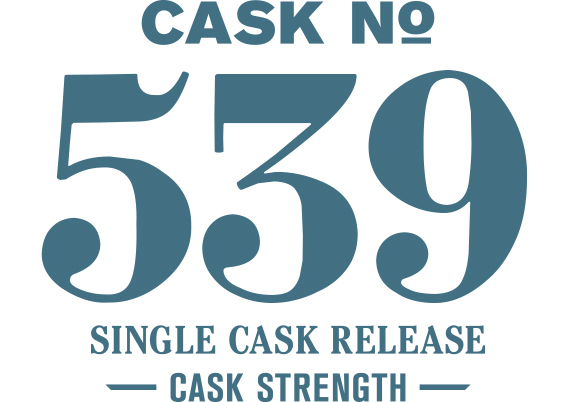 Cask #539 explores the possibilities of a peated new make spirit aged in a new American oak barrel. The nose begins with wafts of apple crisp and fresh strawberry awash in sea spray. Continuing with dessert notes of crème fraîche, Luxardo cherry, and ginger bread; the nose finally comes to rest on notes of wood ash and dried oak. The palate deepens into notes of dark chocolate, cigar ash, dark roast coffee, and wood-centric peat with a light finish of lemon peel.